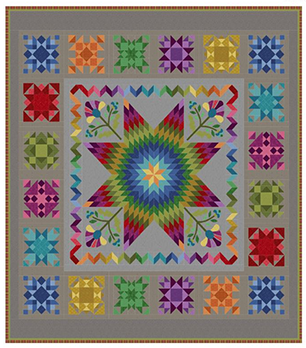 Bring in the New Year with this beautiful block of the month! Getting to Know Hue is designed by Nancy Rink and features fabrics from Marcus Brothers. The quilt measures 96" x 102". Registration fee is $25 and each month is only $29.99 plus tax. Join us 4 times throughout the year for demos & tips at no extra charge.